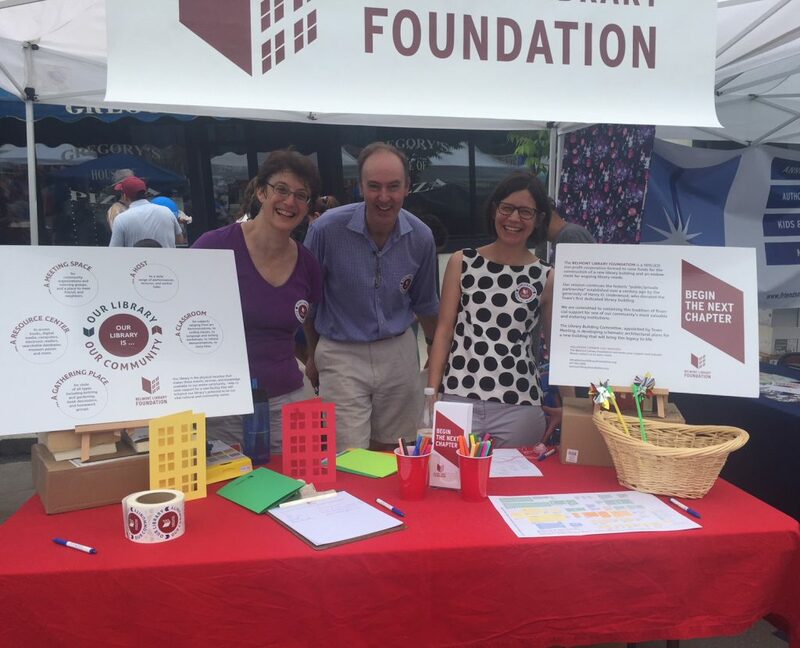 Town Day on June 2 was a very festive event, and we enjoyed the opportunity to meet so many of you at our table on Leonard Street. It was great to have the opportunity to share information about the new library project and hear your thoughts and ideas. Thank you to all that stopped by the Belmont Library Foundation table!